We are so very happy to share with you what we believe will go down as a landmark in the history of dyslexia. On Thursday, September 18th, 2014, a hearing was held before the full Congressional Committee on Science, Space, and Technology on “The Science of Dyslexia.” We are especially proud that the Yale Center for Dyslexia & Creativity was well represented. Co-Directors Bennett A. Shaywitz, M.D., the Charles and Helen Schwab Professor in Dyslexia and Learning Development, and Sally E. Shaywitz, M.D., the Audrey G. Ratner Professor in Learning Development were consulted. Dr. Sally Shaywitz was invited to testify on the main topic, “The Science of Dyslexia” at the hearing itself. The Committee was interested to have clarified the relation of dyslexia and the term, learning disabilities: dyslexia represents over 80% of all learning disabilities, and differs from the others in its specificity and scientific validation. Dr. Shaywitz testified that rigorous research indicates dyslexia is very common, affecting one out of five, and persists. Since its original report in 1896, in the British Medical Journal by a physician, Dr. Pringle Morgan, dyslexia has always been conceptualized as an ‘unexpected’ difficulty in reading, that is an individual can be quite bright and read at a level much below that expected of a person of his or her ability. More recently, the Shaywitz lab provided empirical validation of the unexpected nature of dyslexia. The data indicate that in typical readers intelligence and reading track together; they are dynamically linked. Dyslexia is a paradox, that is, conforming to the Sea of Strengths conceptual model championed by the Shaywitz’, which describes dyslexia as a weakness in getting to the sounds of spoken words surrounded by strengths in higher level thinking and reasoning, a model reflecting Dr. Shaywitz’ experience at Yale and elsewhere exemplified by such individuals as acclaimed attorney David Boies, ground-breaking financier Charles Schwab, Cleveland Clinic CEO Dr. Toby Cosgrove, and Oscar-winning director and producer Roger Ross Williams. This experience led him and his wife to form a new charter school, the Louisiana Key Academy (LKA), specifically to serve students who are dyslexic. From a personal perspective, we have visited the Louisiana Key Academy (LKA) and come away extremely impressed and deeply moved by what we saw educationally and personally, in terms of the children and their interactions with teachers and classmates. "If we already have mandatory racial sensitivity training for our police, why not have mandatory dyslexia recognition training for our teachers?" 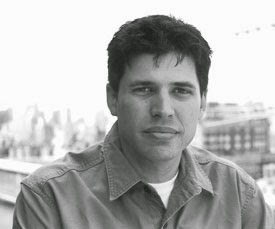 Max Brooks, dyslexic, and today a successful writer, recounted the pain and anxiety that accompany dyslexia when the individual is in a school environment that lacks understanding and blames the student for not reading quickly. Even today, as an acclaimed writer, Brooks told the hearing, as a result of the teasing, bullying and shame he was subjected to as a child in class, he will not read aloud and did not read his testimony at the hearing. Seeing and personally experiencing the great harm that is done to students by teachers who just ‘don’t get’ dyslexia led this dyslexic writer to conclude his poignant testimony with this statement, “A little awareness and flexible teaching methods could unlock unlimited potential in these kids who now think they're losers. Thank you Rep. Smith, Rep. Cassidy and all the other Committee members, staffers and speakers for having the courage and commitment to take this ground-breaking step forward. Let’s us unite and act for all children and adults who are dyslexic. In response to the many who have asked, below are the recommendations made to the Congressional Science, Space and Technology Committee on September 18, 2014. I am optimistic, once this committee is aware of the strong science of dyslexia, educators will want to align their practices and policies with 21st century science. Schools, including teachers, principals and other administrators and parents should make every effort to use the word dyslexia since it has specific, highly relevant and explanatory meaning. Science has provided its: definition; epidemiology; cognitive basis; neurobiological basis; developmental progression; long-term outcome. For dyslexia, knowledge of its cognitive basis indicates what symptoms to look for, so that symptoms of dyslexia in the classroom (and at home) are noted and acknowledged rather than as currently happens, ignored or overlooked. This greater awareness and understanding of dyslexia and its impact will benefit both the teacher and student, both in the teaching of reading and in the climate and attitudes within the classroom. For students, knowledge that they are dyslexic also provides a community to join – they know they are not alone. We must ensure that programs that are used truly meet the standard of “evidence –based,” and that this scientific term is not used indiscriminately, that is, plunked down to describe a program that does not truly meet the high standard and implications of what “evidence-based” implies. This means that if a program promotes itself as “evidence-based,” it must be required to produce evidence of a randomized field trial where the program in question is tested against other programs and that this program was demonstrated as effective inimproving students’ reading. The model for such evidence-based field trials are those required by the FDA for medications before the medication is approved as effective and ready for use. It would be a shame to allow the term “evidence-based” to be used to describe a program indiscriminately, without reliable evidence that the program is actually effective in improving students’ reading. It is important to appreciate that anecdotal or received wisdom is insufficient. We have come too far and made too much progress to allow anything less than valid scientific evidence to be used in determining if, indeed, a program is effective in improving students’ reading. The gold standard must be proof (evidence) that the program improves the children’s reading. To accept anything less would be a regressive step backwards and a loss for all the parents, educators and children who are eagerly awaiting programs that truly have evidence that they are effective. Before purchasing a program, you must always ask, “SHOW ME THE EVIDENCE.” Critically important is that schools must use evidence-based programs that have proven efficacy; research-based simply indicates that there are theoretical suggestions but does not provide evidence that the program is, indeed, effective. Evidence-based programs are akin to the level of evidence the FDA requires before a medication can be approved for use. Many, many theoretical, research based approaches, when tested in the field, prove to be ineffective. Our children’s reading is too important to be left to theoretical, but unproven, practices and methods. We must replace anecdotal and common, but, non-evidence-based practices, with those that are proven, that is, they are evidence-based. Professional development programs targeted for teachers must provideevidence that the students of the teachers taking these programs actually improve in their reading performance. This is in contrast to some professional development programs which seem to improve teacher’s understanding but not in a way that results in improvement in their student’s reading performance. Given the rapid growth in reading in the very first years of school and the gap already present by first grade, it seems reasonable to encourage the creation of special charter schools for grades k-3 that focus solely on dyslexia. 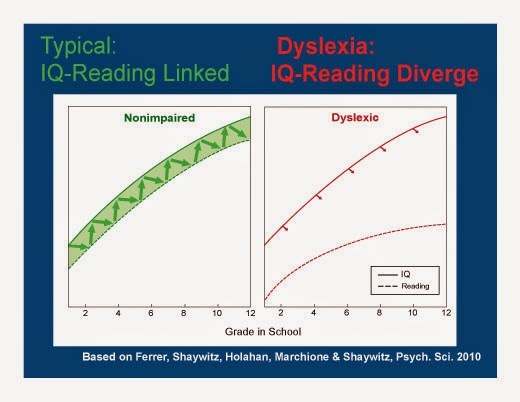 The goal is to reach children at-risk for dyslexia early on when reading intervention can be maximally effective, and before the students fall further and further behind. At specialized charter schools such as the Louisiana Key Academy, attended by the children of a fellow panel member, the entire educational team from principal to classroom teacher to physical education instructor understand dyslexia, its impact on students in various situations and are on board to support the students throughout their day. Here, students learn and there is no bullying by students or frustration expressed by teachers who may not understand the impact of dyslexia. These schools can also serve as resources where teachers can come, spend time and learn about dyslexia, what it is and how it impacts a student and learn specific evidence-based methods for teaching reading to dyslexic students and how to best implement these methods. There is so much more to tell; for those who have questions and want to know more, visit the Yale Center for Dyslexia & Creativity website: dyslexia.yale.edu or look at my book, Overcoming Dyslexia, which discusses the scientific basis of dyslexia and how to translate this knowledge into practice.